Following awards show season, Leonardo DiCaprio took a much-needed break in the Caribbean with his closest friends. The "Wolf Of Wall Street" actor was spotted getting into a private boat to take him and his friends to a luxury yacht off the coast of St. Barts on March 23, Daily Mail reports. Leo, 39, was joined by his model girlfriend Toni Garrn, 21. She shared a number of photos of herself — on a luxury yacht and playing in the Caribbean waters — on Instagram. She also posted a photo of Leo's best friend, Lukas Haas, which she captioned, "Beautiful sunset and beautiful posing." Toni has joined Leo on various vacations since they began dating last year. They most recently went skiing together at a luxury ski resort, Courchevel, in France last month. 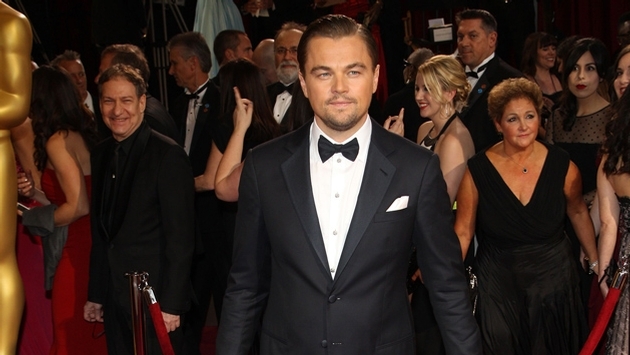 What do you think of Leo's Caribbean vacation?